If you're looking for a fun and easy sewing project, consider making a beanie hat or a beanbag toy. All you need to create these playful little items is a few scraps of fabric, your sewing machine, and a beanie sewing pattern. Many beanie projects are even simple enough to make with kids! 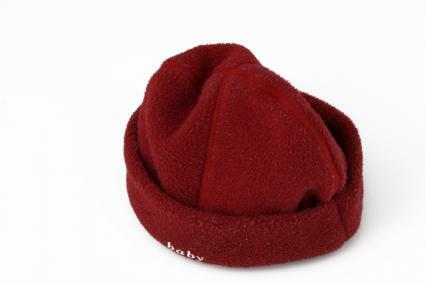 Beanie hats make great dress-up outfits for kids of all ages, and they can actually be very stylish when embellished. Whether you're making a Halloween costume or just creating a fun hat to wear around town, making a fleece beanie is simple. You can likely complete this project in less than an hour. Measure the head circumference of the person who will be wearing the beanie and add one inch to your measurement. Divide by two and write this number down. This is the width of the beanie. Next, measure the height of the person's head from above one ear to the center of the top of the head. Add one inch and write this number down. This is the height of the beanie. Fold your fleece fabric in half so your can cut two pieces at the same time. Cut two rectangles that are the width you found in step 1 and the height you found in step 2. Fold each rectangle in half, matching up the short sides. The folded side should be on your left and the two raw edges on your right. Use a salad plate or small bowl as a guide to trace a curved line across the upper right corner. Cut along this line and unfold the piece. You now have a semi-circle. Repeat with the other rectangle of fabric. Stack the two pieces with their right sides together and secure with pins. Using a 1/4-inch seam allowance, sew from one corner, up over the curved edge, to the other corner. Turn the beanie right side out and try it on. Make any fit adjustments you need at this time. Turn the bottom raw edge over twice to create a rolled brim for your beanie. Secure with pins and then tack the rolled brim in place every few inches with a few secure hand stitches. Simple rectangular bean bags are great for kids. They can toss them as part of games or use them in other imaginative ways. It's also easy to involve kids in making these bean bags, since they make great beginner sewing projects. For each bean bag, cut two equally-sized scraps of fabric. Pink the edges to keep them from unraveling. Stack the two pieces with their wrong sides together. Starting half an inch from the edge, sew around three sides, leaving a half-inch allowance. Fill the little bag with beans, stopping when it is three-quarters of the way full. Repeat to create more bean bags. The Etsy shop Shiny Happy World sells patterns for making beanie hats and toys. Sew Mama Sew has a free pattern for making a tie-top baby beanie. How Does She offers a free pattern for making an owl beanie. Beanie hats and bean bag toys are simple sewing projects that make fun and affordable gifts. Since neither project uses a great deal of fabric, you can save money on materials or even use fabrics already in your stash. You can make these items as stocking stuffers at Christmas or simply as fun, anytime gifts for family and friends.